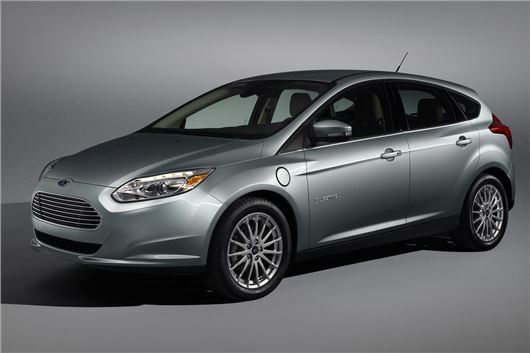 As well as running on low rolling resistance Michelin Energy Saver Plus tyres, every 2015 Ford Focus Electric comes connected to an online Michelin Guide. Every Ford Focus Electric will be fitted with 215/55 R 17 MICHELIN Energy Saver tyres to offer drivers the optimum combination of safety, comfort and handling, plus the benefit of low rolling resistance to maximise battery life, and therefore driving range. And in addition its SYNC2 in-car connectivity system will come pre-loaded with access to the latest Michelin guide to the best hotels, restaurants and places of interest. This will work in harmony with the on-board navigation system and will mean drivers can plan their itineraries including where to stay, where to eat and even which tourist sites to visit. More than a century ago, the original Michelin Guides were created to encourage early motorists to explore and enjoy their surroundings that had previously been both unknown to them and inaccessible without the benefit of a car. In doing so, of course, they would put some wear their tyres. Not that this will happen quickly in a Focus Electric. Michelin Energy Saver Plus tyres not only provide safety, comfort, handling and low rolling resistance to increase the range of the battery, they also last 20% longer thanthe average summer tyre. More about Michelin tyres and sizes here.